Successfully Added Car Black Box DVR With Wireless Reversing Camera - 1080p HD Recording, 4.3 Inch Screen to your Shopping Cart. 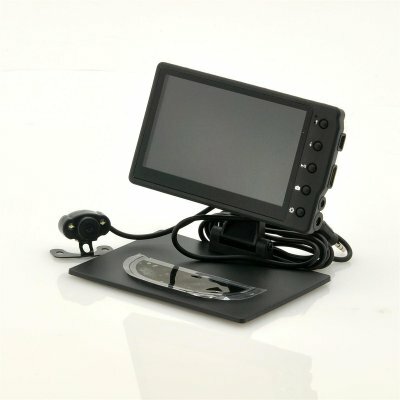 Car Black Box DVR set with a 4.3 Inch LCD monitor built in camera that records in1080p combined with a 2.4GHz wireless reversing camera to help when reversing for an all in one car kit. Accelerate into the fast lane with this awesome package that consists of a car black box DVR with a built in camera for HD video and 4.3 inch screen along with a wireless reversing camera. Avoid any troubles and keep yourself safe as the recorded footage can be used as evidence in any court case. Place the car black box DVR on to the front dashboard in a position that suits you and then take advantage of all its built-in functions that can help and assist when you drive. It automatically starts recording when you begin to drive and also automatically turns off when you stop. The car digital video recording black box has several ports including a micro SD port that can support up to an impressive 32GB, therefore allowing you to save and transfer recorded data. Also you can re-watch the recorded footage on your TV via the HDMI port, as now more devices are HDMI compatible and it will display a crystal clear picture due to this connection. Three different types of resolution can be used for recording; WVGA (800X480), 720P (1280X720) and 1080P high definition (1920X1080) can all be selected when wanting to choose the best or most suitable resolution to record from. This car DVR is powered by the vehicle’s car cigarette lighter receptacle and also has G-sensor, therefore it measures the forces that act on it during changes in velocity. Motion detection is another valuable function on this car black box DVR, which ensures it captures any activity as it happens. Having trouble parking? Well, this car black box DVR also comes with a parking camera that can assist you when trying to fit into them tight spots, ensuring you get a good view of what is happening behind when backing up. Once the car is put into reverse the main 4.3 inch camera on the car DVR automatically displays what the reversing camera is seeing. The wireless transmitting frequency is 2.4GHz and has a long 30 meter distance, which is more than enough to send a clear signal from the reversing camera to the car DVR. Keep protected from the hidden dangers and bad drivers on the road with this awesome car black box DVR and wireless reversing camera combination. This product is in stock and can be dispatched within 24 hours of ordering with a 12 month warranty. Brought to you by the leaders in wholesale electronics and car DVRs, Chinavasion. 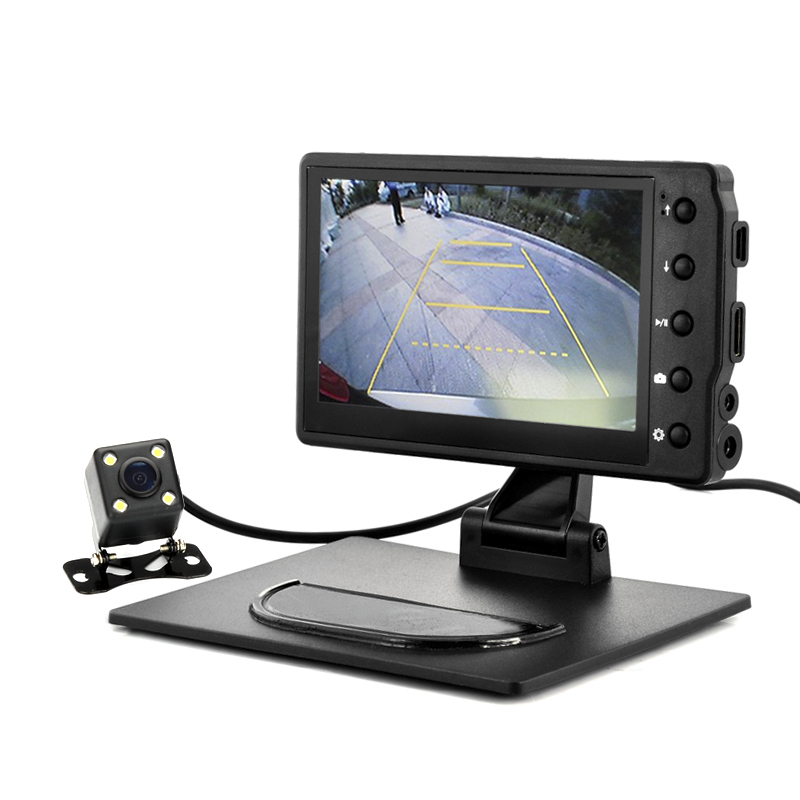 The car black box DVR is for recording, the reversing camera does not record and is only to assist when reversing. The magnetic field with certain frequency may affect the photo and sound of the device. The AV IN port is 2.5mm to AV IN but the cable is not included. You will need to purchase a 2.5mm to AV IN cable seperately. I like the wireless backup cam and would recommend this unit. The size of the screen is a plus over other smaller screen. It seems to have nice features with good potential and use. I keep playing with it to learn more, but would have rather been able to set and go. So, this comes with a learning curve without a good manual. Get past that and your good to go! Installation in the back was a little tricky, but I got it done. I have an SUV with hatchback and another foot of wire for both wires would have been nice for a better installation without "cutting corners". Be prepared to use some silicone as necessary. After that, I wish the instructions were a little more detailed and clearer for operation of the unit. I'm still trying to understand how it works to get the best use of the unit. The video shows the unit on a flat table, however my dashboard is not flat. Positioning of the unit is a little tricky. It would be a good addition if it came with some way to hang from higher up on the windscreen or car ceiling area rather than on the dash (without blocking the cam lens). It's not a touch screen and because this is a free standing unit it is difficult to press buttons and make adjustments while driving. on 2013-04-23 23:46:43 ES BUENA LA COMPRA.ME HABIA EQUIVOCADO DE SITIO,PIDO DISCULPAS POR LA OPINION PASADA. ES BUENA,ME GUSTAN MUCHO TODOS LOS PRUDUCTOS QUE OFERTAN,SON FACILES DE INSTALAR Y NECESARIOS PARA UN AUTO,ESTOY MUY COMPLACIDO,GRACIAS,QUE DIOS LOS BENDIGA Y SIGAN CON LA BUENA TECNOLOGIA Y REPUTACION QUE TIENEN,GRACIAS.